Did you hear the reports last month that a drone hit a plane? The British Airways plane was flying from Geneva to Heathrow, when it reportedly collided with something 1,700 feet in the air 10 miles away from Heathrow. According to The Wall Street Journal, the London Metropolitan Police said they believed the plane hit a drone. The plane landed safely at Heathrow Airport. Damage to the plane — a dent in the plane’s nose — was reported, but upon further investigation, no damage was actually found. Authorities were unable to find debris from a drone, either. They were prepared to make an arrest because in London, drones are not allowed to fly above 400 feet. Plus, in the UK, it’s illegal for drones to fly near airports, airplanes, and other aircraft. The latest news reports are now saying that what the plane collided with may have actually been a plastic bag. Investigators can’t be sure yet. 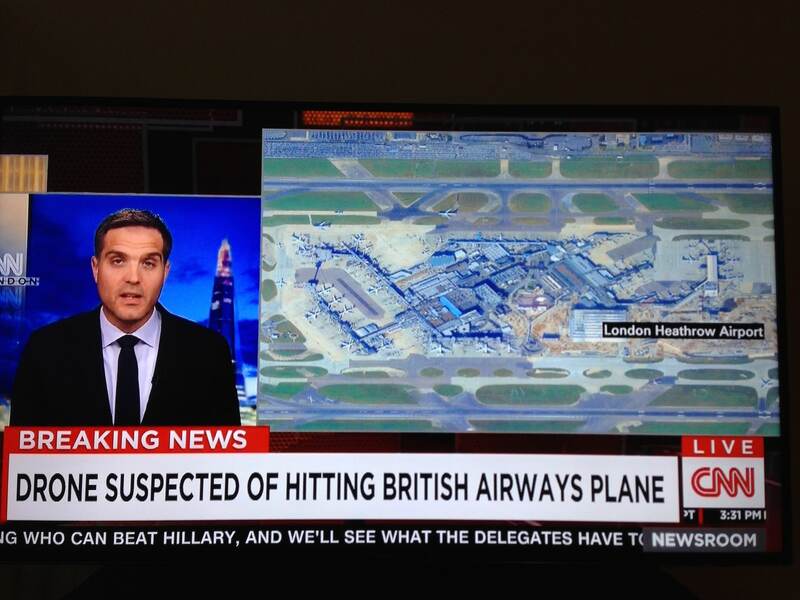 But either way, the incident and its rise to mainstream media brings to light the danger of drones vs. planes. Anyone who is aware of the surge in popularity of amateur drones being flown recreationally could have seen this problem coming. That’s why, when drones became a part of the plot of my mystery serial False Truth, we included an incident involving a drone – plane collision. It’s not just the stuff of fiction. 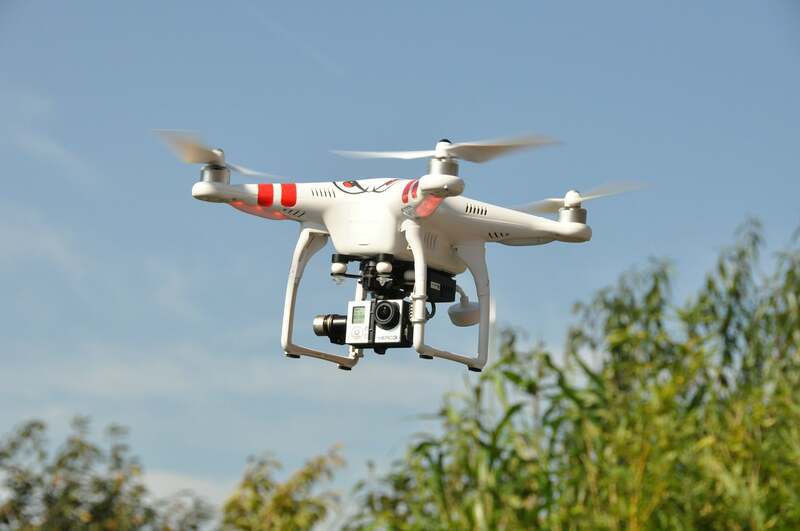 In the United Kingdom, from April to October 2015, there were 23 close encounters between drones and aircraft — with 12 considered to have presented a serious risk of collision. In the U.S. from the end of August 2015 until the end of January 2016, there were 519 incidents involving passenger aircraft and unmanned drones! Drones flying too close to commercial flights pose a serious threat to larger aircraft, and can be sucked into the engine or crash into the cockpit window, injuring or killing a pilot. Then there’s the risk of terrorism. CNN analyst Bob Baer worries about use of drones to attack planes. It remains to be seen whether investigators can prove what exactly was behind the recent collision in London. Some really interesting measures are being taken though to help prevent drone dangers in the future — and I’ll tell you about those in an upcoming blog. 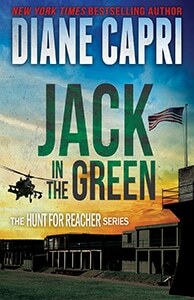 Giveaway #1 for Get Caught Reading Month!